Since my friend Margaret Seiler shamelessly took the opportunity to wax rhapsodic about her addiction passion for the pumpkin milkshakes at Burgerville, I will happily follow suit. Anyone in the mood for an autumnal pick-me-up should venture over to the Green Dragon on Monday for the Killer Pumpkin Festival, a gathering for gourd geeks in need of liquid refreshment. Some 15 pumpkin beers will be on tap, including two from a pair of hollowed-out pumpkin kegs. Oooh! Pumpkiny! Other distractions include a pumpkin-smashing contest (Hopefully Gallagher won’t show up) and a pumpkin-seed spitting competition. It’s happening from 5 pm to close. 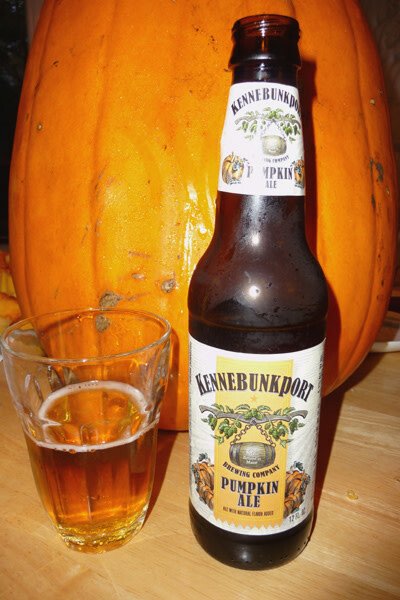 Until last week, I had never really considered the possible pros and cons of pumpkin beer. I happened to be browsing the aisles at Trader Joe’s in NW, when my bleary eyes fell upon six-packs of Kennebunkport Pumpkin Ale for $5.99. Stifling my disgust at the Kennebunkport brand, which will forever be associated with the Bush brood in my mind, I sprang for a sixer and savored every subsequent sip. It’s really a beer in two parts: the first-taste wave is lightly hopped and goes down like a smooth-drinking wheat ale. But it’s the spicy follow-up that really melts the brain. It’s exactly like a liquid slice of pumpkin pie that settles on the tongue for a second or two, before the taste magically levitates through the roof of your mouth and into your soul. It’s a flavor parade, and at a measly 4.7 percent alcohol it’s totally sessionable—though it’s a bit like pigging out on pie. If you find yourself at Trader Joe’s be sure to scoop some up. So now I welcome the Killer Pumpkin Festival with open arms, and am hopeful that the featured brews from Laurelwood, Rogue, Hopworks, Natian, and Breakside, among other, measure up to the sale suds at Trader Joe’s. Since I’m in shopping mode, please enlighten me on other brands of pumpkin ale that are worthy of exploration.